[toc] Brain cancer is actually one of the most devastating diseases in the history of the mankind. This is because, a human brain is very crucial to the everyday functions. The working of a human body is also controlled by the electric signals sent by the brain. If the brain gets affected with a malignant tumour then our daily life activities like mobility, speech, seeing and controlling our movement will become badly affected. There are a lot of times when people develop cancer because this disease ran in their family. You must remember that people who have a history with cancer are more prone to get the disease than the people who do not have any history. In addition, people who have suffered from other kind of cancer like breast cancer, cervical cancer etc. are more likely to be at risk. But, you can always prevent this from happening by making a few lifestyle changes. You will first have to carefully look at your family history of all the close relatives like aunts, grandparents, parents, siblings etc. First closely see if anyone in the family had or is suffering from cancer. How many people in your family suffer from this disease? If your family has a history of cancer then you must consult your doctor about the preventive measures that you can take. If someone in your family died of a brain problem then getting a brain scan done each year will be a great preventive measure. It is vital to understand if you have ever been exposed to radiation or particular chemicals that increase your risk to the disease of brain cancer. If you have been exposed to any of the following then it can increase the risk towards this disease. If you have ever worked at any of these industries then you would want to schedule a brain scan at the earliest.People working at the nuclear plants are at a risk of developing this disease due to radiation.Pathologists and embalmers are always at a risk of acquiring this disease due to the chemical formaldehyde. People working in the plastic industry can also acquire this disease due to the chemical vinyl chloride. People working in the textile industry are also at a risk due to the chemical acrylontrile which they have to work with. There are certain daily activities which also affect our chances of getting this disease. These are daily life activities which we take part in. There have been several studies on brain tumour and many researchers have found a close link between uses of hormones, hair dyes among some of the risk factors. The researchers also believe that, if multi vitamin tablets are taken during pregnancy then it decreases the risk of childhood tumours. Also the risk of paediatric tumors can be lessened if a person eats cured meat or hot dogs full of sodium nitrite. 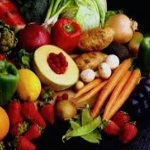 Vitamin C, E and Iron supplements must be administered during pregnancy to avoid brain cancer. Cell phones emit a high radiation and thus increase the risk of acquiring brain cancer. There are several studies that support this issue. Researchers state that the mobile phones emit a high frequency radiation which can be harmful for a human body. You must make less use of the mobile phones and other headsets. You must consume garlic, omega-3 fatty acids in your daily diet. This will help you to prevent brain cancer effectively. Garlic has natural anti-cancer molecules that will help in stopping any cancerous growth in your body. You can always sprinkle fresh garlic in your salads or add it in your daily cooking. You can also take garlic supplements daily if you feel like. Omega-3 fatty acids help in boosting the immunity of the human body. This will help in slowing down the growth of the brain tumours. 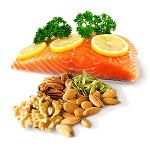 The fresh source of omega-3 fatty acids are salmon, mackerel, trout, walnuts, flaxseed and linseed oil etc. Wheatgrass consists of 70% of chlorophyll and is considered the best prevention method for the brain cancer. According to the health experts, chlorophyll has a similar molecular structure like haemoglobin in our blood. Chlorophyll reacts positively and increases the production of haemoglobin in the human body which in turn increases the amount of oxygen. When your body gets a good supply of oxygen it also decreases the risk of acquiring cancer. 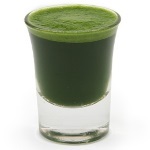 It is a widely known fact that the juice of wheatgrass helps in building of red blood cells immediately after it has been taken in the digestive system of the human body. This herb helps in controlling the high blood pressure and improves the growth of healthy tissues within our body. This herb also helps to get rid of the toxins from our body. You must not smoke or drink these are certain habits that must never touch your lifestyle if you want to stay hale and hearty. Always remember that smoking and drinking increases the risk of acquiring cancer. 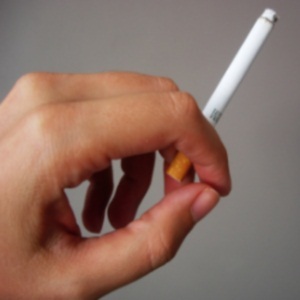 People who smoke have a high probability of developing lung cancer and people who drink a lot can acquire liver cancer. You must live a healthy lifestyle. You should always exercise daily and eat a balanced diet. It is necessary to sleep for 7 to 8 hours daily. You must get a correct amount of sleep every day. Always wear a sun block when you are going outside in the sun, or make it a point to cover properly with the right clothes and accessories. If you remain unprotected in the sunlight for a long time then yu might acquire skin cancer. Always make a regular visit to the doctor. 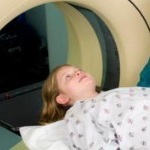 You have to understand that annual check-up is very important and especially for the adults. If you are experiencing trouble or abnormal symptoms in your body then consult a doctor immediately. A doctor is trained to understand the symptoms of a malignant disease.